It is important that the issues facing our communities and society as a whole are heard and seen. Our current system and ways of doing things are only working for a decreasing few and things need to change. I believe in people using their voices to bring about change. It is important that grassroots voices and alternatives are heard and discussed. Here are some of the ways I have been using my voice and speaking up about some of the issues I see facing society. May Day Rally – Durham Labour Party speaking about trade unions. 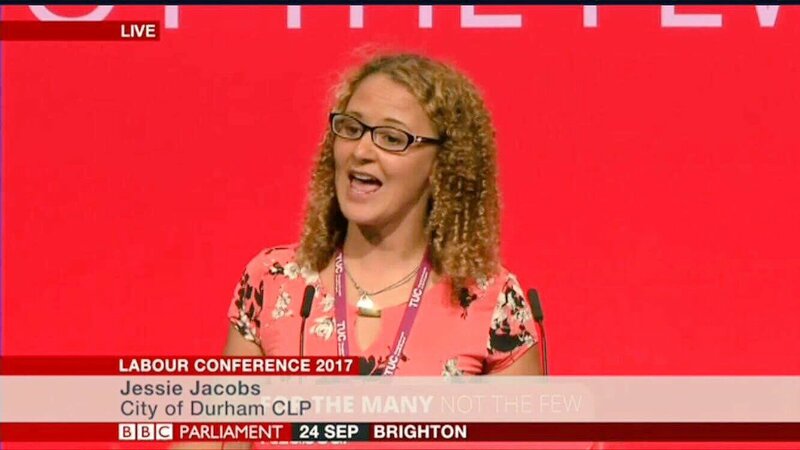 I have also been able to speak at Anti-racism rallies, trade union meetings and conferences, Labour Party meetings and People’s Assembly events.